Let’s face it, no team has the testicular fortitude to go toe-to-toe with the Bronx in a bidding war. Many have tried, and all failed miserably. Apparently beating NY on the field is more important to these assholes than opening grandma’s checkbook and outspending them. 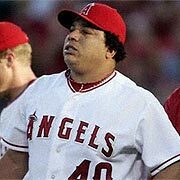 This common conception that the rest of the MLB is too frugal to compete was shattered earlier today, when the pesky White Sox threw a COOL MILLION for the services of 86 year old fireballer Bartolo Colon. Today’s ceremonial breaking of the piggy bank on the South Side is just what this team needs for ’09. GM Kenny Williams is about as rogue as they come, and throwing a million freaking dollars at Bart proves that. I DARE you to name another GM with the cajones to spend such an absurdly high amount of money on a man who moonlights as chief clown on the PBR Rodeo Circuit. Not only is Bart way too old to pull his “throw the ball as hard as I can every pitch” routine, but the injury bug that lives in the clown wig he wears under his cap during games will most certainly bite his arm at some point. This guy will be collecting social security (if our fine government decides we still get it) by the all-star break. 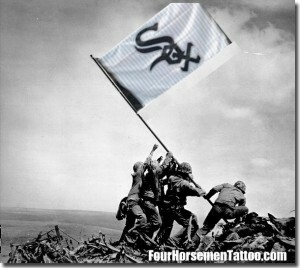 “Sox hope he can stay healthy enough to be the no. 4 starter.” That actual quote itself exudes more wishful thinking than, “I really hope Joe Orsulak and Kurt Stillwell make the Hall of Fame.” I realize that splitting hairs by chastising a cheap rental/last stand for a former member of the Pale Hose is unnecessary, but duct-taping a hole in a sinking ship is just plain unforgiveable……..